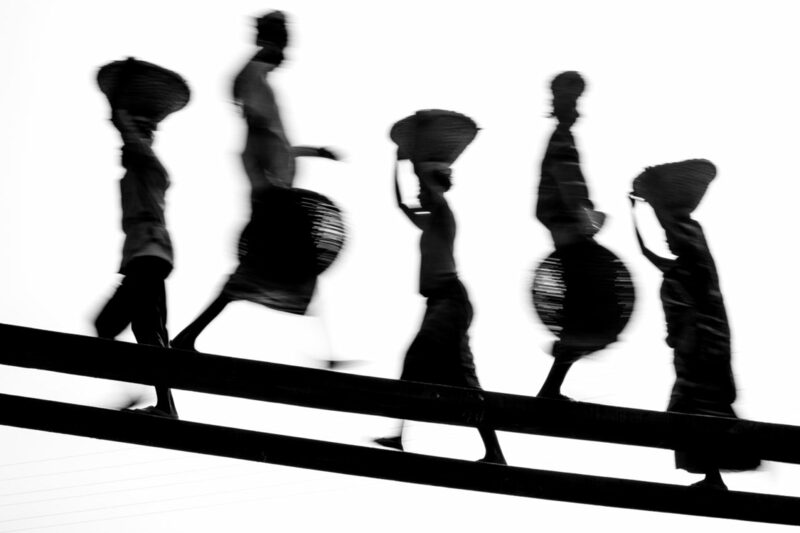 Labourers at brick factories in Dhaka race along planks of wood to unload buckets of sand from riverside barges. 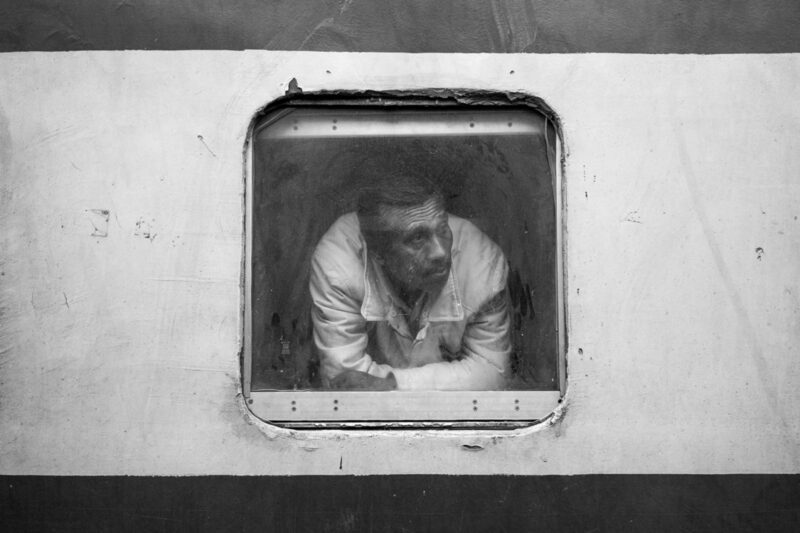 A rare moment of peace at Tongi railway station as a man watches thousands of devotees at Bishwa Ijtema. 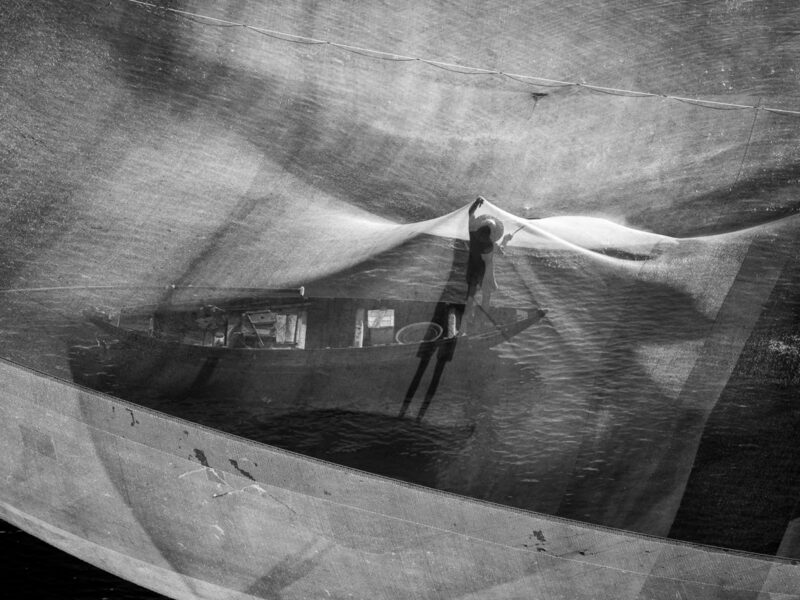 Hoi An fisherman searches for his overnight haul at dawn within giant fishing nets. 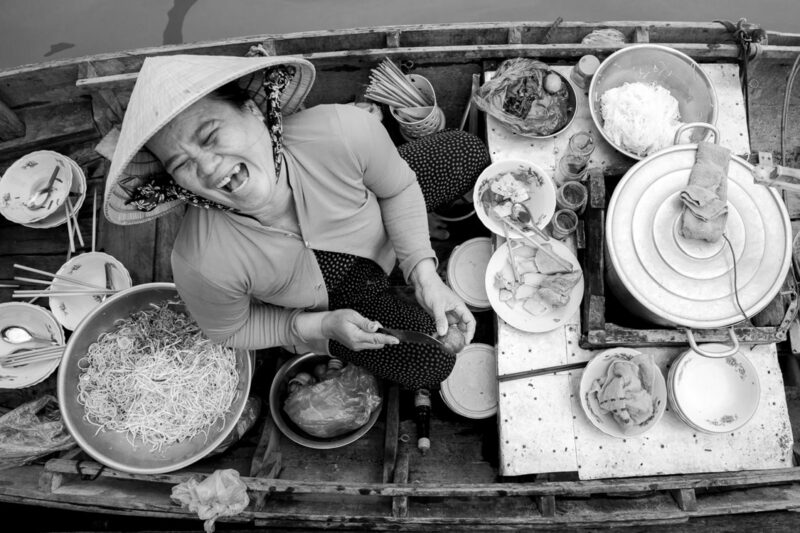 Mekong Delta noodle vendor laughing uncontrollably on a busy morning selling pho from her small wooden boat.